In today’s globally challenging world, being simple and accessible are the two keywords for most businesses contemplating migration to cloud networks. More and more businesses are empowering their businesses with this new definition of accessibility where most of the audiences and even the promoters wish to access all the information on their Smartphones and other mobile devices. In any enterprise scenario, thousands of employees cater to the needs of millions of customers. Using one connecting link can help them to interact and respond quickly to the needs of their customers in real-time. This is expedited and made possible with the increasing popularity of the most advanced and powerful tools in cloud environments. The data resides on Cloud, but with free accessibility, confidentiality of this data is not ascertained. Data within the tools such as DropBox, Google Apps for work (G-suite), and Office 365 etc. is still freely accessible to all the related users. Using such cloud apps reduces the cost of operations and also increases the efficiency of the entire system. However, this too is not a smooth road ahead, and it too is met with challenges, to top the list is data security. Without the aid of any efficient cloud security tool, data over the cloud remains vulnerable and is left exposed to too many people at all times. Though you might incur some costs to protect your cloud data, still it is a wise decision to deploy a complete cloud data security solution to avert any losses on the account of data breaches, which may in fact destroy your business reputation on the whole apart from purchasing losses for you. Any instance of simple violation of data security can lead your enterprise into huge losses, both in terms of reputation as well as finances. Now, the question is how to avoid such instances in a huge cloud based network? In most cases, where huge data is stored over different interconnected servers over the cloud, enterprises often seem to fail in protecting their confidential data. A perceived threat to data can be both from internal users and/or from the outsiders. The ill-intent of hackers is always targeted to these corporate hubs’ huge cloud resources for them to attempt any mischief in order to amplify satiating their thirst for a much bigger mischief. 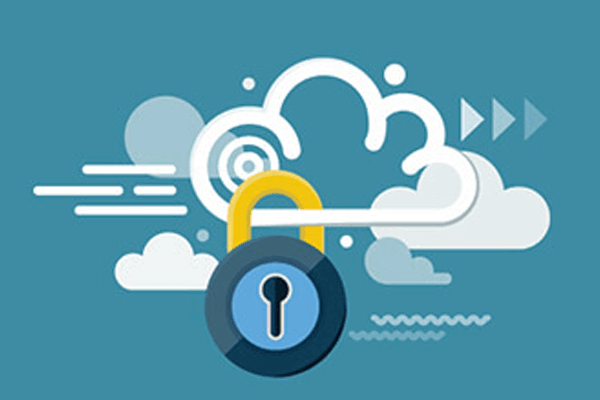 Cloud service providers to play a limited role in providing absolute security as complete cloud data security is a shared responsibility with them and the enterprises availing their services. Thus, almost certainly, enterprises need to act accordingly to ensure that their organizational data remains safe. You can never know the harmful intentions of people or the gravity of the threats posed by these outside hackers who are out there just only to characteristically harm you. Thus, keeping a backup of every single data element is advisable as the chances of retrieving data once lost are almost negligible. In December 2017, personal information of many eBay customers was compromised to include the names, location details, phone numbers, and purchase histories. This information was propagated via Google’s Shopping platform. The details included the information about sale of sensitive products to customers such as Pregnancy Test Kits, HIV home test kits, and alike; coupled with details of users, who purchased them. This certainly can be very devastating for any business, who is marketing such products. Thus, complete cloud data security using a foolproof CASB solution provided by Cloud Access Security Brokers becomes all the more important where evidently almost no one seems to take ownership of your private and confidential data. CloudCodes has creatively designed to counteract against any such inevitable threats, and their CASB solution helps in imposing restrictions and policies powerful enough to perceive such potential threats and report them right at the time of any violations, so as to strategize a protection plan to deal with the issues in real-time.